This is Short Triangle. It is outside Court Square subway station in Long Island City, Queens. It is owned and maintained by the New York City Parks Department. It is not a park. If it was, it would be named Tiny Triangle (not really a park, but a bit of soil with a shrubbery) Park. Hardly worthy of a name, let alone a sign. 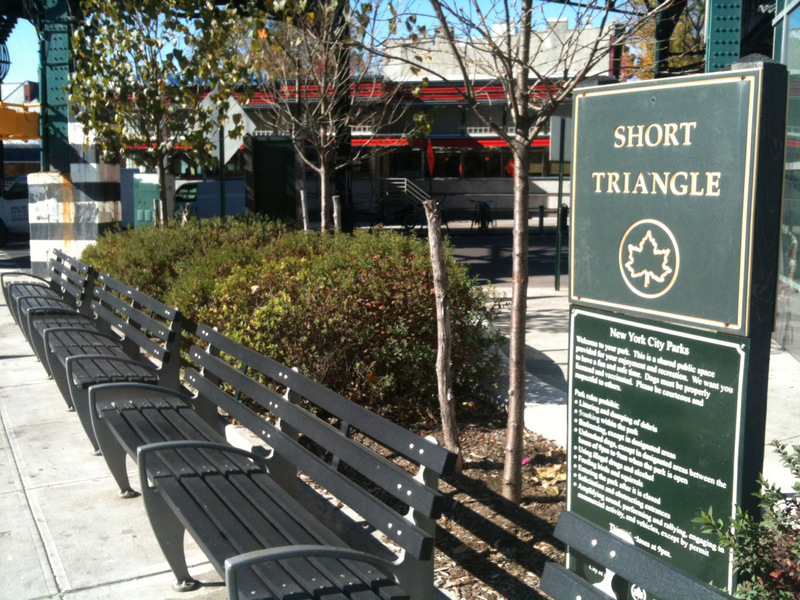 Categories: Public park | Tags: Court Square subway, Long Island City, New York City Parks, Short Triangle | Permalink.